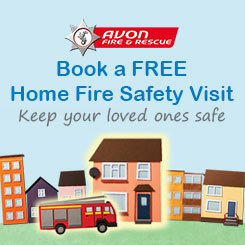 Avon Fire and Rescue Service (AF&RS) is required by law to protect the public funds it administers. We may share information provided to us with other bodies responsible for auditing or administering public funds, in order to prevent and detect fraud. We are a mandatory participant in the Cabinet Office’s National Fraud Initiative and are required to provide particular sets of data to the Minister for the Cabinet Office for matching each exercise, and these are set out in the Cabinet Office Guidance. Our lawful basis to process this data is set out in Article 6 (c) of the General Data Protection Regulation (GDPR) where ‘processing is necessary for compliance with a legal obligation to which the controller is subject’. We are not required to obtain the consent of the individuals concerned under data protection legislation. For further information on how AF&RS process your information can be found on our main privacy page of our website and information about how you can exercise your rights is also available on the our website here.